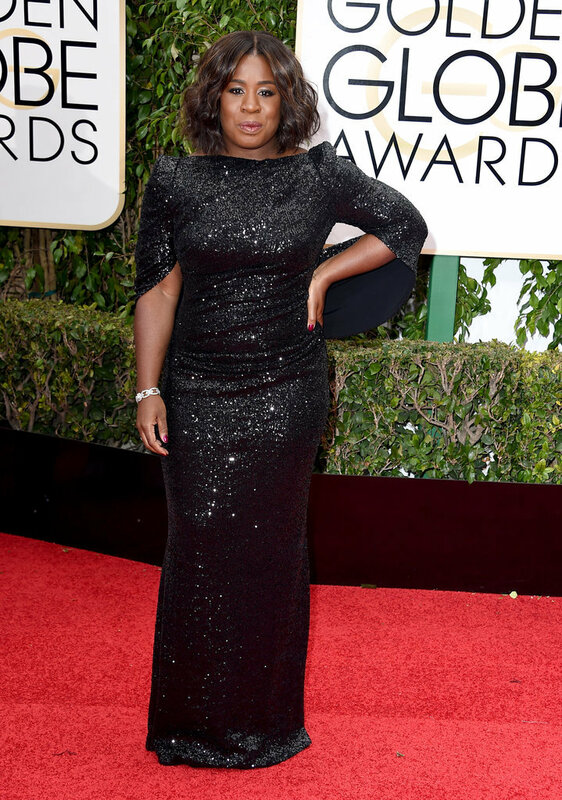 Fashion thoughts: Golden Globes 2016. My Favorite looks in no particular order !!!!!! BRIE LARSON in a body-hugging and baring custom Calvin Klein Collection dress & Tiffany & Co. jewels. There’s something effortless about this look and i love the overall bronze feel . 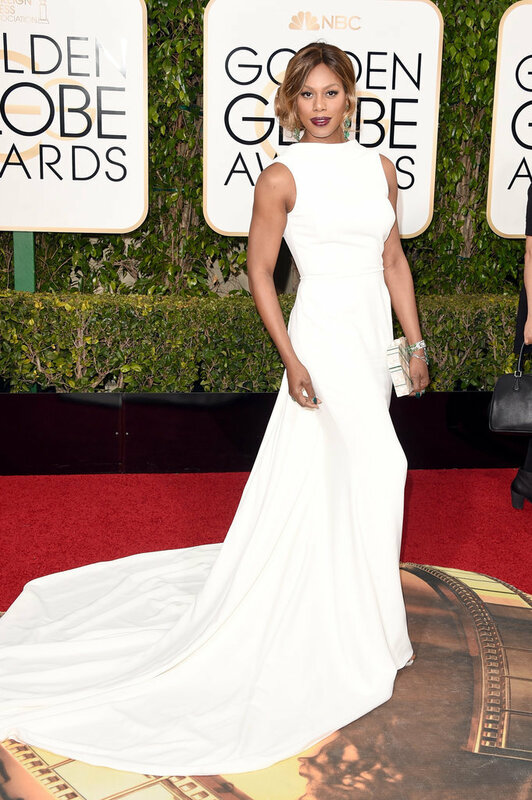 LAVERNE COX in a high-neck white Elizabeth Kennedy gown with a full train and low back, Lorraine Schwartz jewels and Nathalie Trad clutch . White is very tricky so i cant help but use just One word to describe this look ! Gorgeous!! OLIVIA WILDE in a plunging scarlet Michael Kors Collection gown, teamed with a chunky jeweled choker, cocktail ring and gold clutch (all Bulgari) This outfit is like music to my ears, its shiny but not in a bad way and the colour is just perfect!!!!!! JENNIFER LAWRENCE in Dior Haute Couture gown graced with over 156 carats of Chopard diamonds. Amazing that’s all i can say !!! . LADY GAGA in a velvet off-the-shoulder Atelier Versace gown with padded hips and diamond jewels with 210 carats of Neil Lane diamonds. Aside from the fact that she won, she looked stunning !!!!! These 6 ladies below also made it to my list!!!! Loved the looks ! The simplicity of this look just took my breath away . Everything works especially the colour . Its just perfect ! theres something absolutely fab about this look, its just dope!!! Now….to my not-so -fav looks!!!!! I definitely love the colour but i just don’t like this outfit on J.Lo , perhaps without the cape or i’m just used to seeing her in more from fitting outfits and sleek hair . Amy Schumer was not meant to wear something like this, not flattering at all. I loooove Amy but no ! she can look better than this ! 🙁 Cate is my love, i always love her on the red carpet , truth is,i actually like this dress but not on Cate , shes got a fantastic figure and everything looks good on her, this outfit made her look older. Gorgeous girl but this dress was not a great choice at all ! I agree with you on Zendaya! Was quite disappointed, I feel she and Keke Palmer are constantly made to look older than their age!